Why have you boiler serviced? Efficiency – by maintaining your boiler it will work more efficiently saving you gas and therefore money. This will stop waste fuel unnecessarily so reduce you carbon foot print and impact on the environment. Reliability – a maintained boiler will be more reliable. We can’t guarantee it won’t breakdown but it will reduce the risk. If the boiler is under warranty, then it must be serviced annually to maintain the warranty..
We service all makes and models of gas boilers. 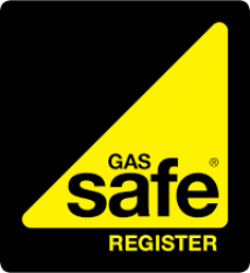 Our service engineer is Gas Safe registered and has many years of experience in gas servicing. We pride ourselves in delivering the highest quality service for homeowners. Please allow an hour for your service and make sure it is easily accessible by the engineer. Your gas meter also need to be accessible. We also service boilers on behalf of landlords and letting agents. If you don’t live in our service area but would like your boiler serviced, please visit Gas Safe to find a registered engineer. If you would like a reminder for when your boiler service is due, Gas Safe has a free service – click here to sign up.